Our classic single serve meals deliver an amazing variety of American comfort foods to internationally inspired flavors. 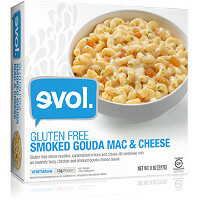 Whatever mood you’re in and whatever flavor you’re craving, you can dig in and feel great about EVOL’s simple ingredients and delicious recipes. Enjoy!